Nordic Walking is the perfect workout for both mums-to-be and new mums with their babies. This gentle form of exercise burns twice as many calories as ordinary walking, and is ideal before, during and after pregnancy. It is low impact and gentle on joints, great for strengthening & toning the abdominals, and fantastic for improving and maintaining your cardiovascular fitness. And to top it all of, it’s sociable and fun, too! There is no need to book a babysitter either – you can take your baby with you in a baby sling or carrier! You will both get plenty of fresh air and while you get a good workout, your baby will love the rhythm of walking and sleep soundly throughout! If you are new to Nordic Walking, we suggest booking onto a 4-week beginners course or booking a 1-2-1 session. Or why not group up with other mums-to-be/new mums for a private session? 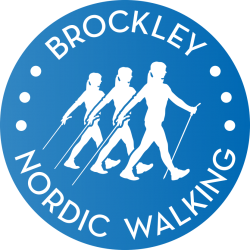 Four 60 minute sessions are recommended to learn the safe and effective Nordic Walking technique, with each session starting with a warm-up and ending with gentle stretching. Learning the correct technique with a qualified instructor makes all the difference and enables you get the most of this total body workout. Note: Like with any new exercise regime, please get the go ahead from your doctor or midwife before starting Nordic Walking. Please always check with your GP/ Midwife before commencing any new exercise programme. It is recommended that after a natural birth you wait until after your 6 week post natal check by your GP / Midwife. If you had a caesarean it is recommended that you wait until 8 / 10 weeks after birth. 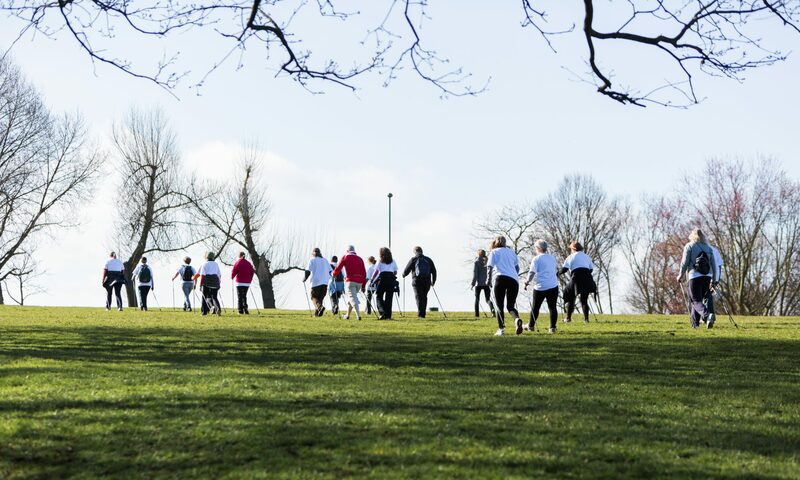 Beginners courses run at Hilly Fields Park in Lewisham, and 1-2-1s and private groups sessions can be arranged at your local park at a time that is convenient for you. Please get in touch with Laura to discuss your requirements and any questions you may have. A pair of trainers or flexible soled walking shoes and comfortable seasonal clothing are all you need. Your instructor, Laura, will provide Nordic Walking poles. I want to try Nordic Walking with my baby. How do I carry him/her? You don’t need any specialist baby equipment – just a normal baby carrier or a sling. It is advisable to practice carrying your baby in a sling or carrier prior to commencing Nordic Walking. When your baby is still small you will carry the baby in front. As soon as your baby can safely hold up his/her own head, you can carry the baby on your back. This way you both have a better view; your baby can see a lot more of his/her surroundings, and you will have unrestricted sight of the ground in front of your feet. Your baby will be able to enjoy sharing your body warmth. But as he/she is still a little too young to join in fully, his/her extremities will cool down rapidly, so wrapping up warm is of utmost importance, especially when it is cold outside.